Time Management processes include the capture of working time and time off in accordance with particular agency policies. Leave management includes the leave request process and the management of leave balances. In both time entry and leave management, agency management approvals are an integral part of the business process flow. Listed below are some of the key time management-related benefits that have been identified as a result of the SCEIS HR/Payroll implementation. The hours an employee works will be tracked electronically through time entry into SCEIS. Non-exempt employees are encouraged to enter their hours every day to more accurately reflect their time worked in the system. Absences will be recorded and tracked electronically in SCEIS for all state employees in SCEIS agencies. 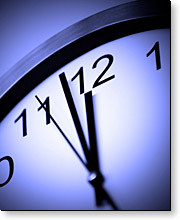 Following manager approval, overtime will automatically be calculated once an employee’s hours are entered into SCEIS. Overtime calculations will correspond directly to FLSA rules and the state’s overtime policies, which will be configured directly into the system. Leave balances will be tracked automatically within the SCEIS HR/Payroll system. Time management and leave management will be handled separately. Leave accruals will follow employees transferring from an eligible position in one agency to another eligible position in a different agency. Annual leave, sick leave, holiday comp time and FMLA balances will transfer with the employee’s record to the new agency without manual intervention or input. Using Manager Self-Service (MSS), managers will be able to approve time and view leave balances for employees who submit leave requests to them.